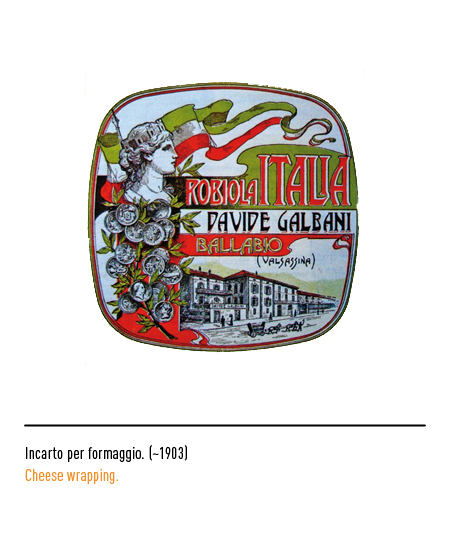 The can trace its origins back to 1882 when, with the help of his father Davide, Enzo Galbani commenced his cheese-making activity at Ballabio in the Province of Como in open competition with French products. 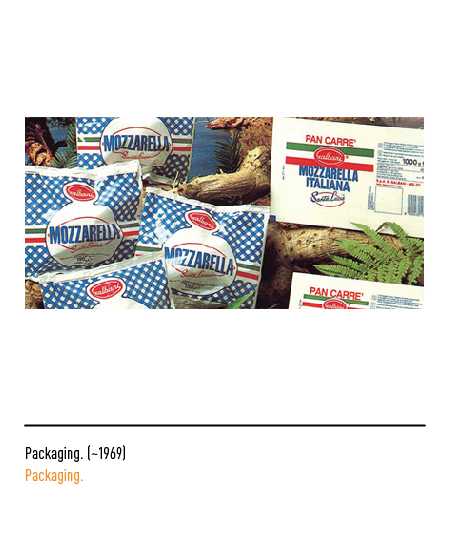 The number of establishments grew over the following years and a sales network for distribution on the domestic market had soon to be organised. 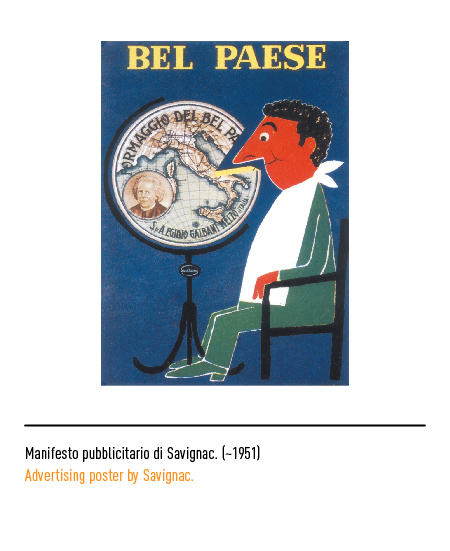 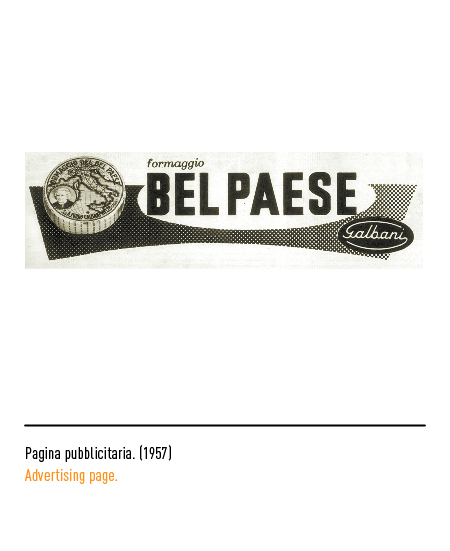 "Bel Paese" first saw the light in 1906. 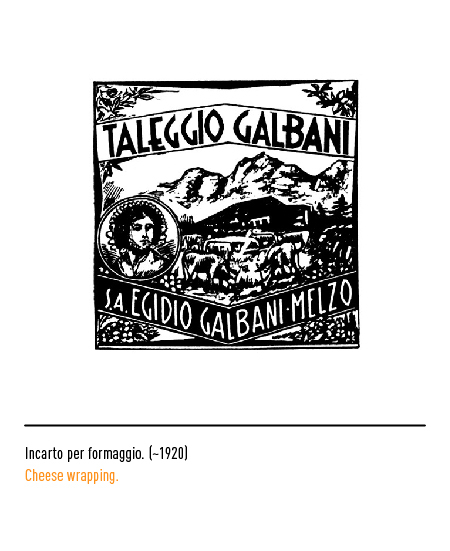 The name for this cheese was derived from the title of a novel by the abbot Stoppani of Lecco, a friend of the Galbani family. 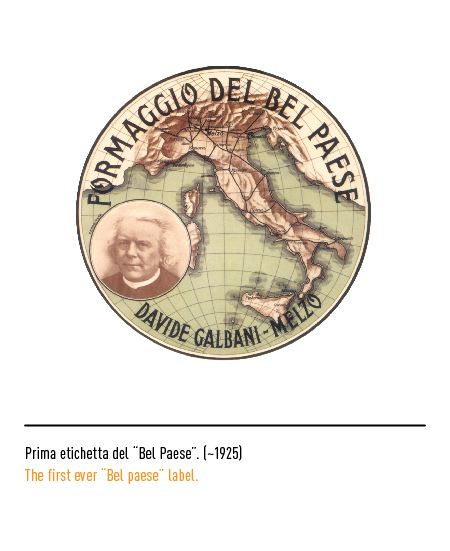 As was obvious from its name, a full map of Italy was portrayed on the label together with a portrait depicting the abbot and the name of the product written out in full. 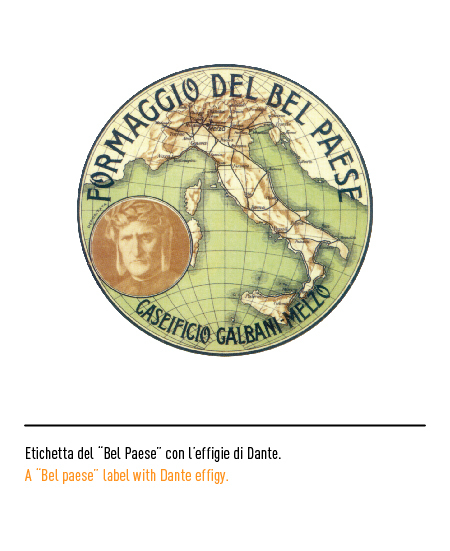 As a curiosity it may be recalled that Dante Allighieri's portrait was also taken into consideration but then discarded. 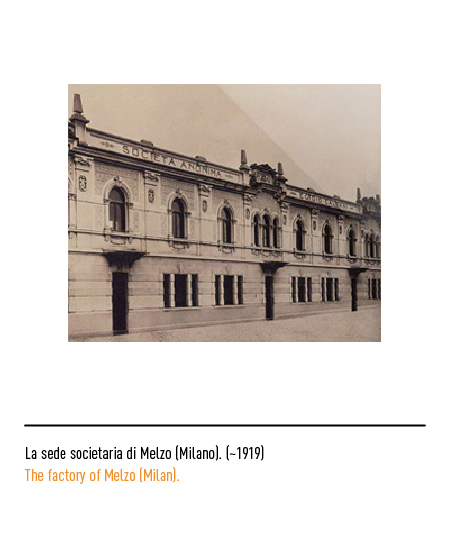 In 1915 the "Caseificio Davide Galbani" was opened at Melzo in the Province of Milan. 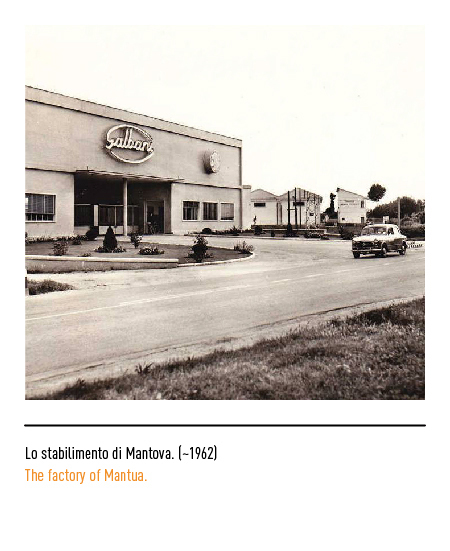 The name of the new cheese-factory was chosen by Egidio to commemorate his father. 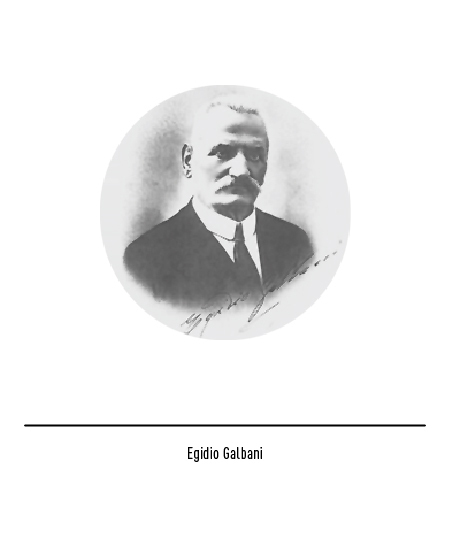 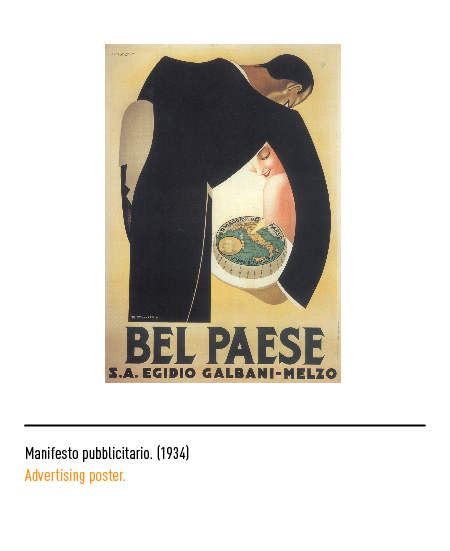 The firm "società anonima Egidio Galbani" was established at the end of the Great War. 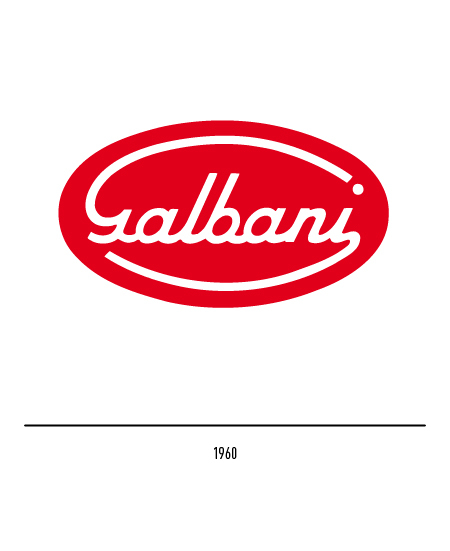 Its trade-mark consisted of an enamelled name-plate with lettering in a style typical of the age. 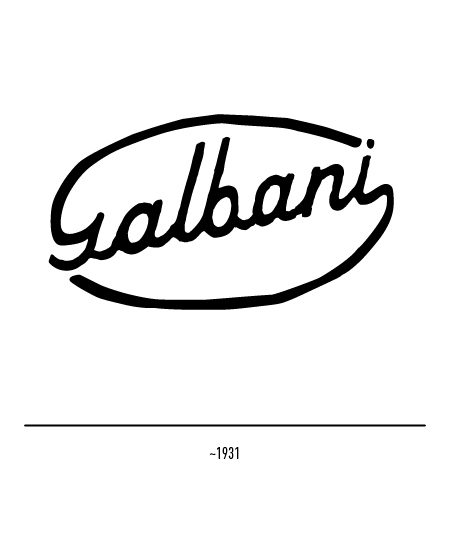 The first trade-mark proper had to wait until the thirties to appear. 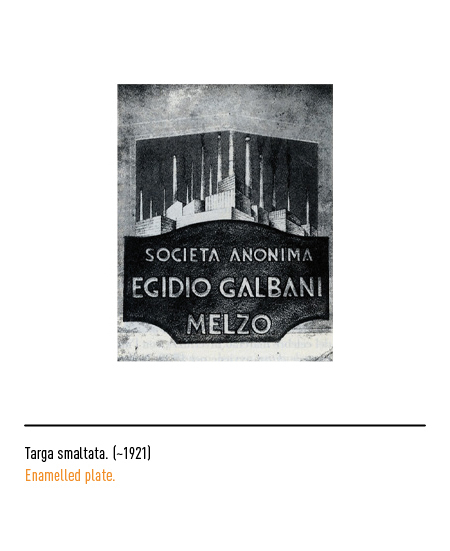 It was made up of tilted calligraphic lettering in the prevailing style of the times with the ramifications of the letters "G" and the "i" exhibiting an ellipsoidal disposition; in 1934 the wording was arranged horizontally. 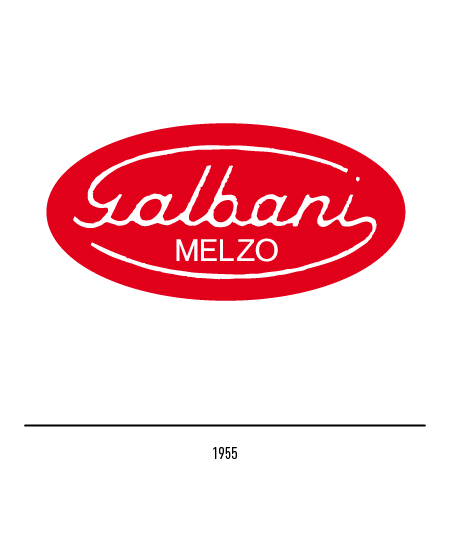 In the fifties the family name was printed inside a red oval, while in 1955 the name of the town with which most of the house's history is associated, Melzo, was also printed in. 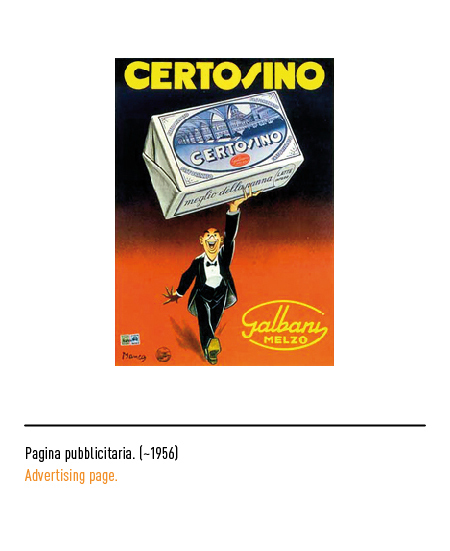 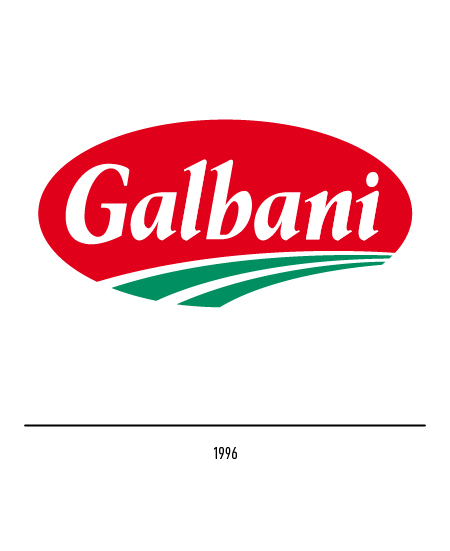 After the Second World War Galbani grew to become the largest cheese-making firm in Italy. 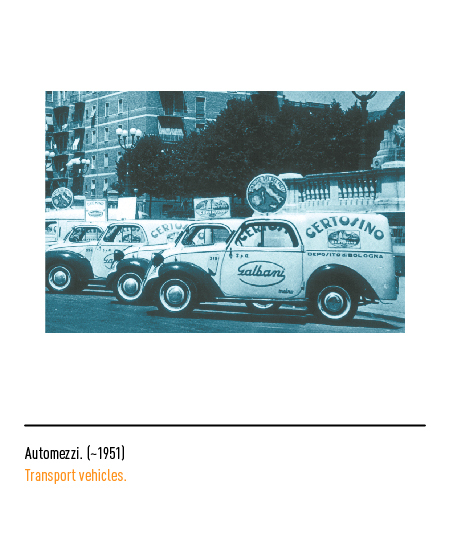 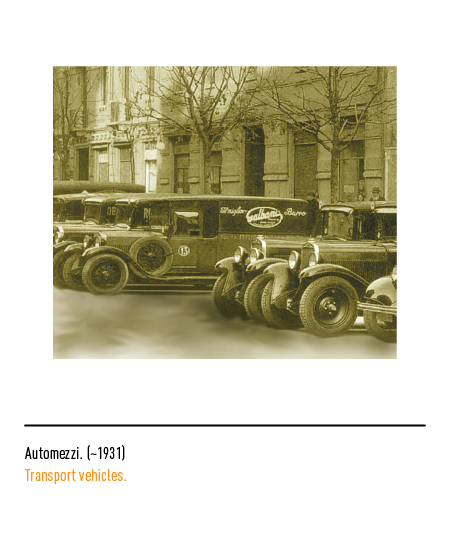 In 1960 its head office was moved to Milan and its trade-mark slightly restyled for the occasion. 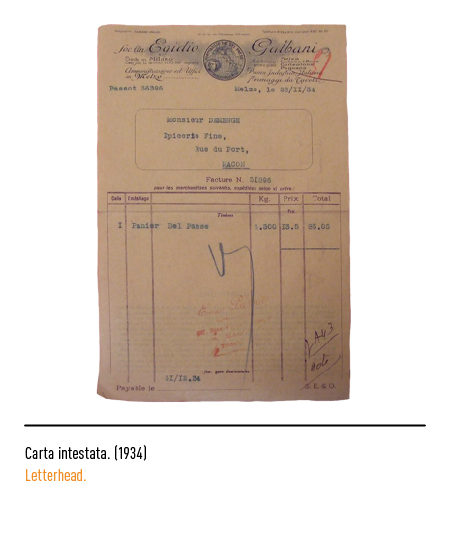 The oval was given a less horizontal disposition and the lettering it enclosed was made more full-bodied and incisive. 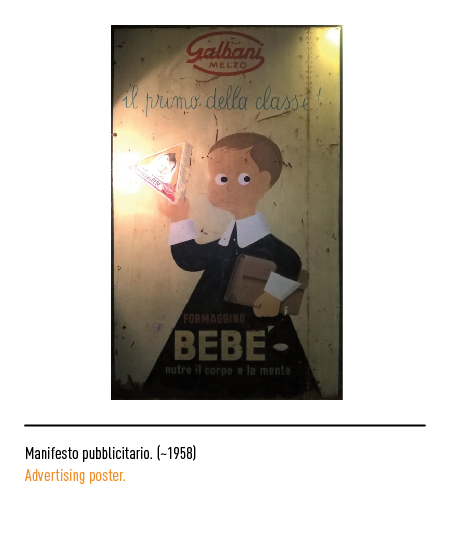 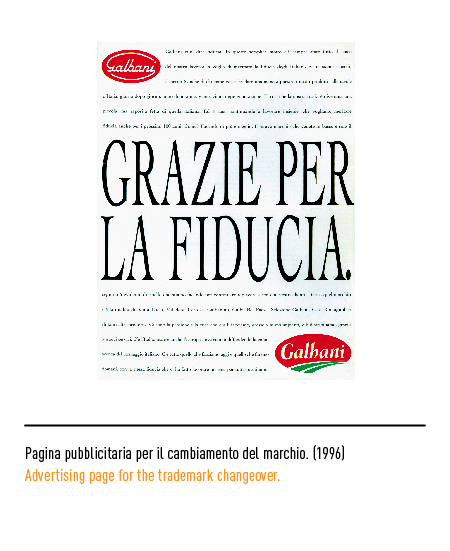 All its products were branded with what was to become one of the most famous slogans of the sixties, which reassuringly declared that "Galbani vuol dire fiducia" ("You can trust Galbani"). 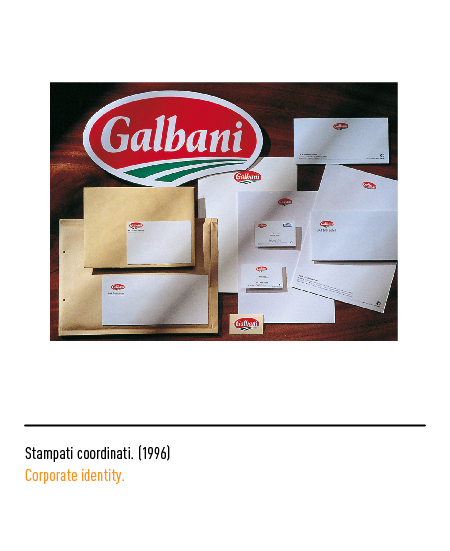 In 1989 the firm was taken over by the French multinational corporation Danone and in 1996 it was decided the time had come for a change in the firm's visual identity. 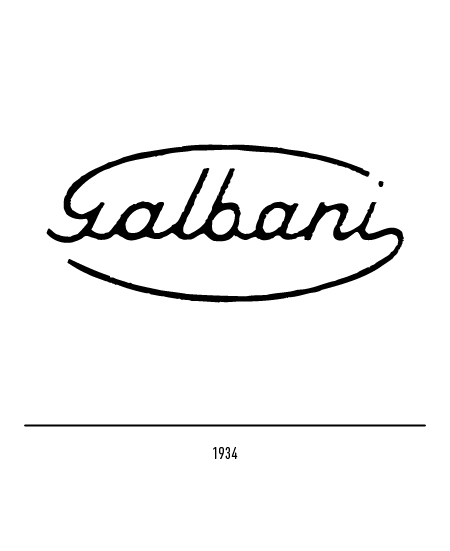 Maurizio Di Robilant was commissioned to design the new trade-mark and while retaining the ellipsoidal shape he chose lettering with serifs for the name Galbani and introduced two green strokes to symbolise nature and the countryside. 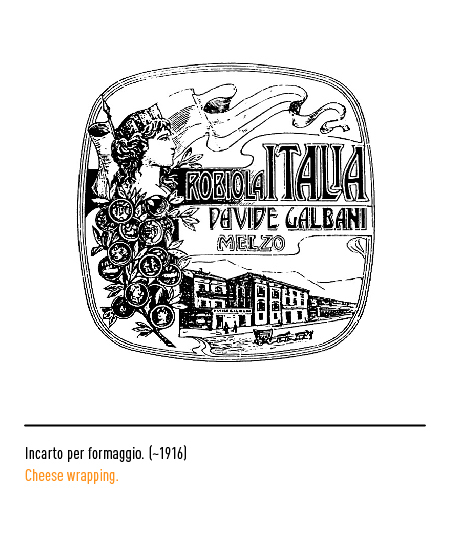 All in all, current trade-mark colouring is strongly evocative of Italian fine-food in general and this unmistakable identity promotes the interest for Italian cheeses abroad. 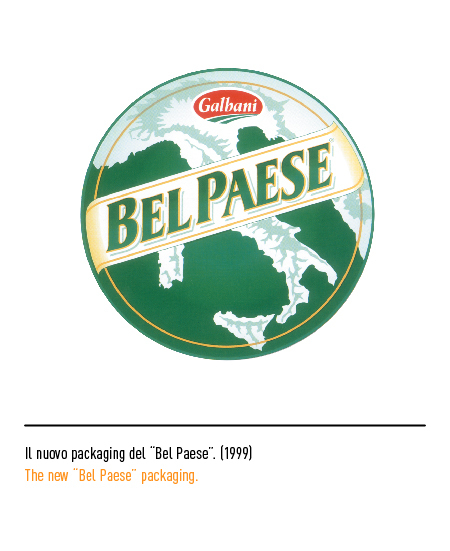 BEL PAESE dal 1906 al centro della tavola, a cura di Gian Paolo Ceserani, 1999, Egidio Galbani SpA.